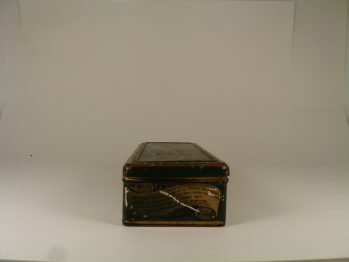 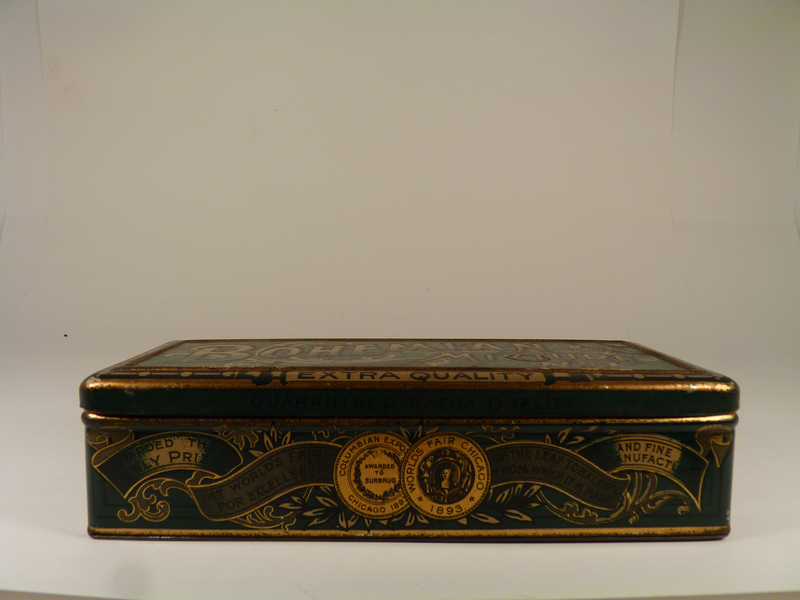 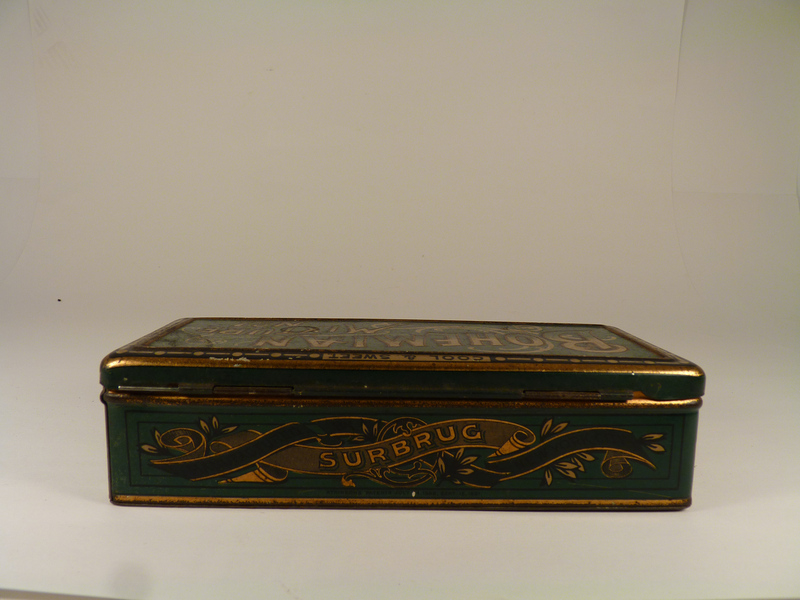 Bohemian Mixture rectangular tobacco tin with nice early style lithography. Tin is in good shape with minor wear. Size: 7" x 3" x 2"